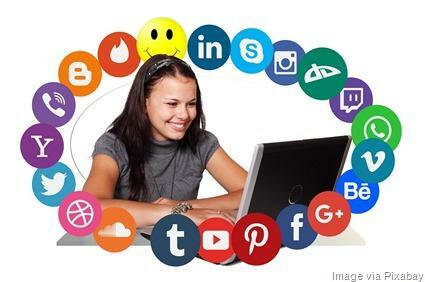 An all-too-common question I get from startups and small businesses is “Which is the right social media platform for my business?” Is it Facebook, Twitter, LinkedIn, or one of the other 200 active platforms vying for attention these days? The right answer is that not all of these are worth your attention, but it’s probably more than one. The “Tyranny of the OR” is a concept from the classic business best-seller “Built to Last,” by James C. Collins (Stanford Business School). Too many executives believe that things must be either A or B, and can’t be both. The reality is that most businesses need to embrace the “Genius of the AND,” meaning they should use and monitor more than one of the available platforms, based on objectives. If you are in the 30 percent of all small businesses who still ignore social media, you need to read the book by Dave Carroll, “United Breaks Guitars.” It highlights the story of how United Airlines paid no attention to social media while Dave’s story of his crushed guitar and poor customer service went viral around the world. United Airlines spend a long time recovering from that debacle. Reputation management. You can’t ignore the fact that Facebook now has over 2.32 billion monthly active users who may be talking about you, and there are 25 others, per Wikipedia, that have over 100 million users. You need to protect and grow your brand, so the first step is to know what’s going on, and the best defense is a good offense. Build your brand and expert visibility. Engaging in social media and blogging on a regular basis is a low-cost way to achieve visibility, and become the “go-to” person for that topic and the voice that people trust in your industry. That’s how you brand yourself as an expert in your niche and make your company the one that others seek out and turn to. Customers today trust those they know and those they see others trusting. Increase customer leads and conversion. With over 77% of the U.S. population now using social media, at least 30% look at profiles on Facebook, Twitter and LinkedIn before buying any product or service. Of those, approximate 70% said they wouldn’t deal with a new company if it didn’t have a social media presence. You need to be there. Maximize customer retention. It’s a well-known axiom of business that efforts to retain existing customers have tremendous payback, compared to the costs of attracting new customers. Courting them with ongoing updates and special offers through their social networks is a natural way to keep their loyalty. Proactive customer service. Without social media, companies must rely on incoming calls and letters to address customer problems and concerns with products and services. Why not ask them for feedback before there is a problem, and watch what they are telling their friends, both good and bad? Keep up with the competition. Last year, Facebook’s revenue from advertising was over $55 billion, which was a 50% year-over-year increase. Almost 40% of small businesses that sell on Facebook say it is their sole sales channel. Ignoring what your competition does is sure to limit your business longevity. So what are the best social media platforms for small business, according to these industry leaders? It never hurts to look at where the big boys are. According to data from Inc. 500 companies, major hitters are LinkedIn (98%), Twitter (91%), and Facebook (89%). I recommend that these be the point of entry for every business. For the new platforms and all the rest, that’s where tracking and testing comes in. Set some objectives, pick a likely platform, set some measurements, and do a 30-day trial. If you don’t get results, it might be a mismatch for your target market. If you see progress, double down and add even more content or focus to continue the positive momentum. 9 Myths about Augmented Reality, Busted by Divine T.
Six Benefits of Building A Website for Your Business by Divine T.